Think slightly squashed circle, with a smooth line right the way around. 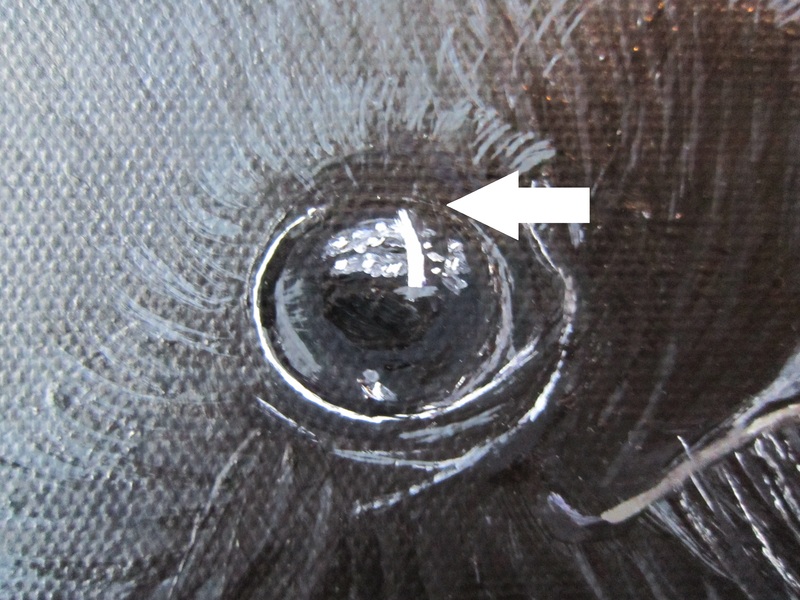 The feathers close to the eye are often in an outwards direction, so use a little rounded brush to detail this. 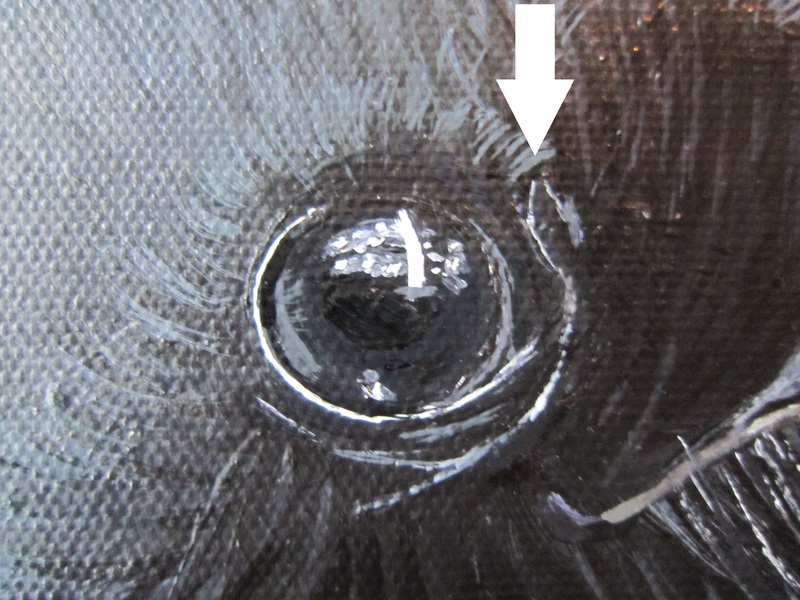 Just close to the eye, the feathers will be darker, gradually getting lighter as distance from the eye increases. The feathers above the eye often catches the light, whereas below the eye is slightly more in shade – so alter your colours accordingly. Create a really deep bluey grey, and paint over the entire eye. 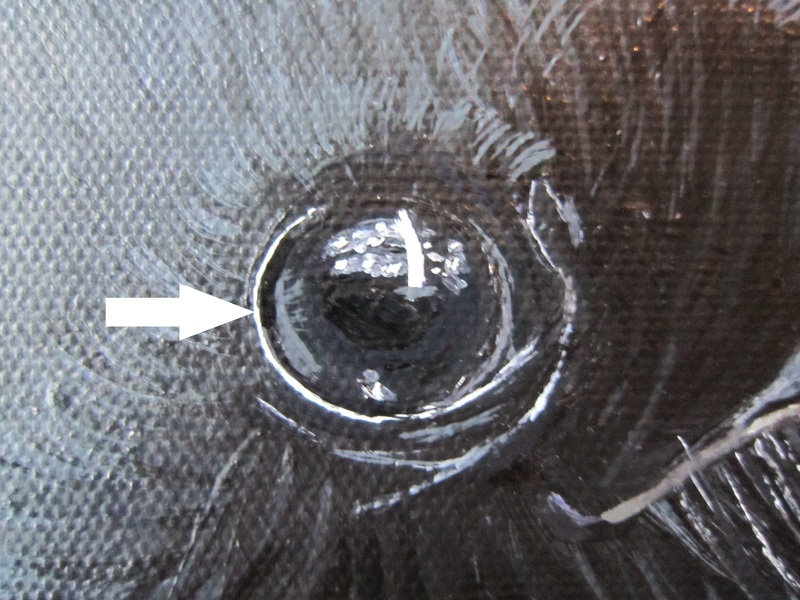 Once this is dry, paint in a fairly large oval-shaped pupil in deep black acrylic ink. 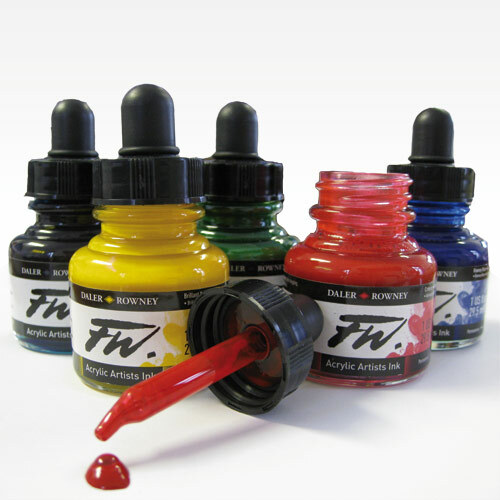 You should be able to control this by using the acrylic inks. 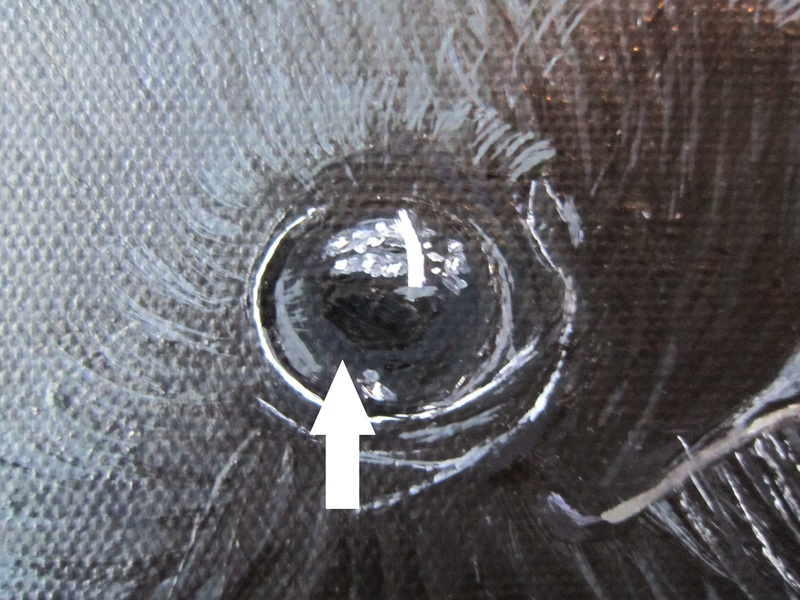 Slightly extend the line in the corner nearest to the beak where you would find a tear duct. This is where you would find the eye lid. Meet this black line at the ‘tear duct’. These will be 2/3 up the eye, around the fullest part. Slightly overlapping these with the black pupil. Dab this with your finger to blend slightly. Use a bright white to create a long glint of light at the fullest part of the eye. This again will slightly overlap your pupil and pale grey blended glints. 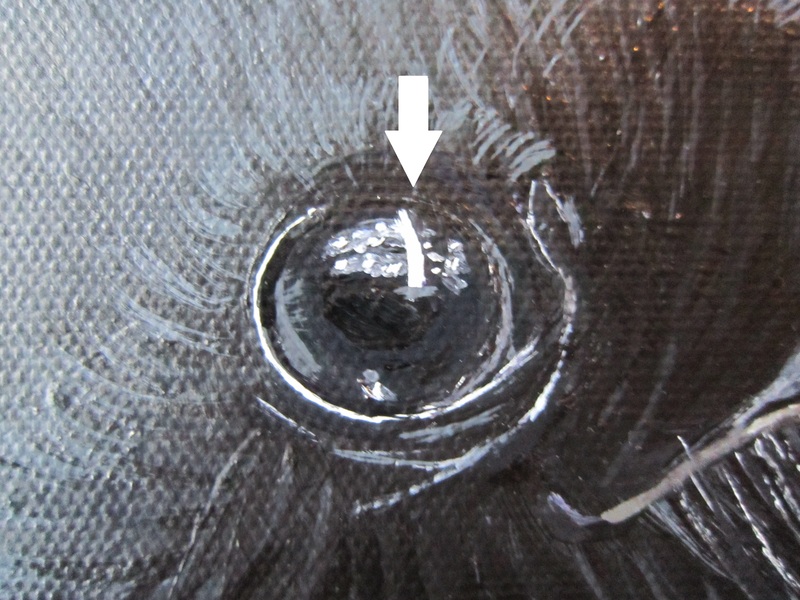 The result should be a beady eye that looks alive! 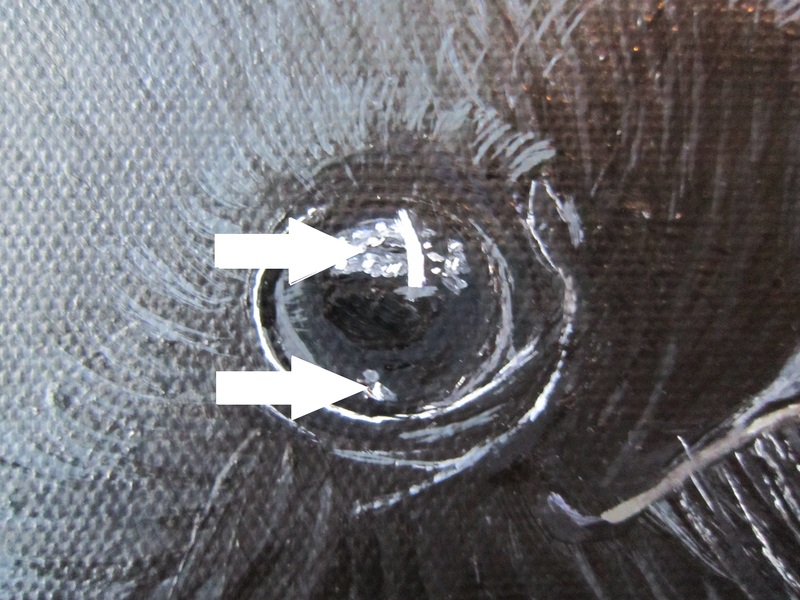 Acrylic inks can also be used on feathers to give them the slightly oily and magnetic appearance that can be seen on birds like magpies and penguins. 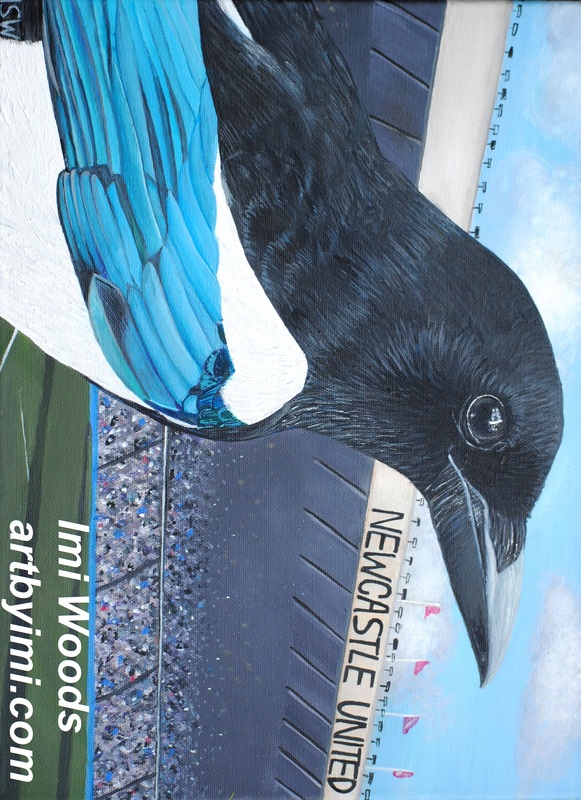 Oh and… guess which Football team the owner of the painting supports? !